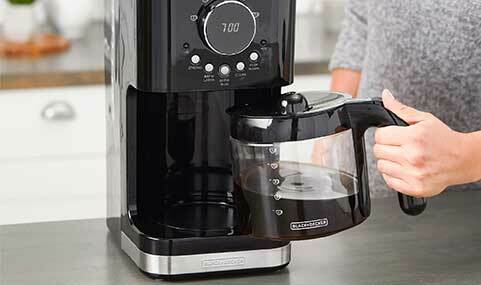 Personalize your brew with the BLACK+DECKER™ Select-A-Size Easy Dial Programmable Coffeemaker. 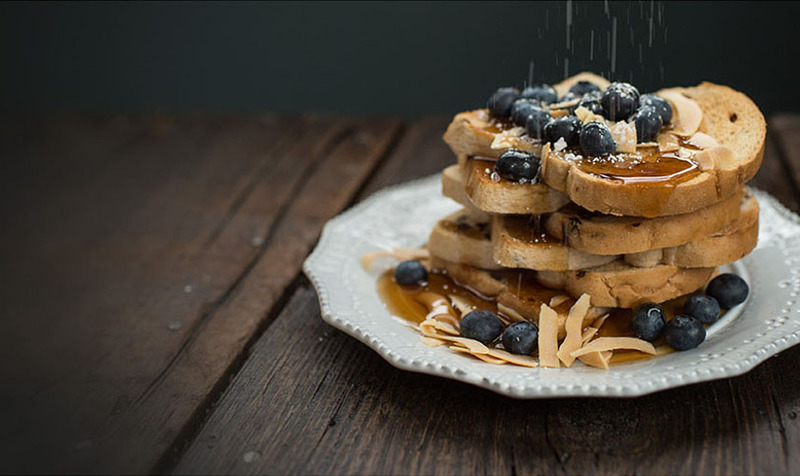 The easy-to-use serving control dial has options for 4, 6, 8, 10, and 12 servings*; just turn the dial to the desired amount. You can choose brew strength (normal or strong) and if you want to brew now or later with programmable brew later functionality. The extra-large, 80 oz. 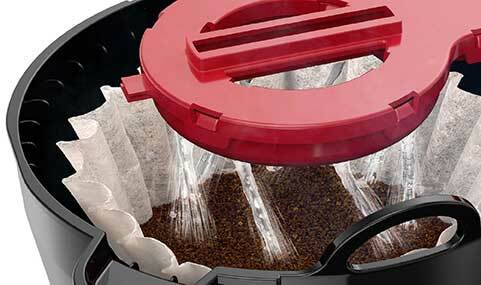 water reservoir allows you to brew for days** without refilling the reservoir. An exclusive showerhead design with Vortex Technology evenly saturates coffee grounds resulting in rich flavor extraction. After brewing, adjustable keep-warm functionality allows you to select how long you want to keep the coffee warm in 30 minutes increments, up to 120 minutes. Other features include: Sneak-A-Cup Technology, no-drip Perfect Pour carafe, 2-hour auto shutoff, auto clean and cord storage. 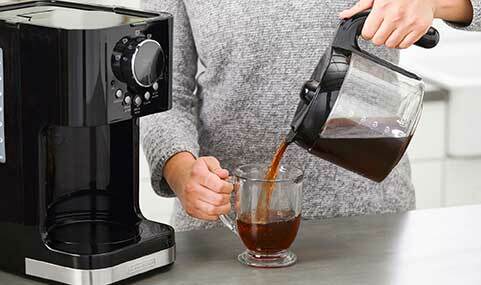 **One fill brews three times on the 4-serving setting. 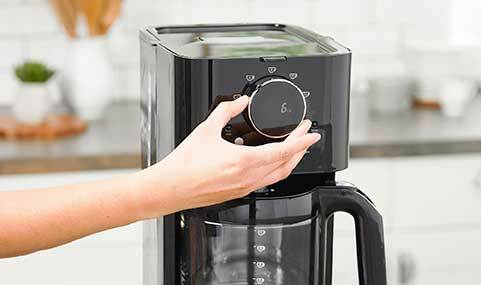 Easily set the time and program the auto brew feature with the digital display and dedicated buttons for delayed brewing, brew strength, keep warm time, and the auto-clean function. The 80-oz. water reservoir allows for three days of brewing** between fill-ups. Select how long the heated carafe plate keeps coffee warm after brewing, from 30-120 minutes. The exclusive showerhead design evenly saturates coffee grounds resulting in rich flavor extraction. The carafe spout is designed to prevent dripping during pouring to keep your counters spot-free.